After graduating as a lawyer from the Central University of Venezuela, Santos Luzardo returns to his family’s land in the rural state of Apure, intending to sell it. Instead, he finds Doña Bárbara, rumored to be a witch and known as a devourer of men, using her sexuality to gain power. While Doña Bárbara falls in love with Luzardo, struggling to reform her ways, Luzardo falls in love with her neglected daughter, Marisela. Gallegos wrote the novel at a time of great political upheaval in Venezuela: in the 1920s, brutal and corrupt dictator Juan Vicente Gómez used the country’s recently-discovered oil wealth to modernize its infrastructure. 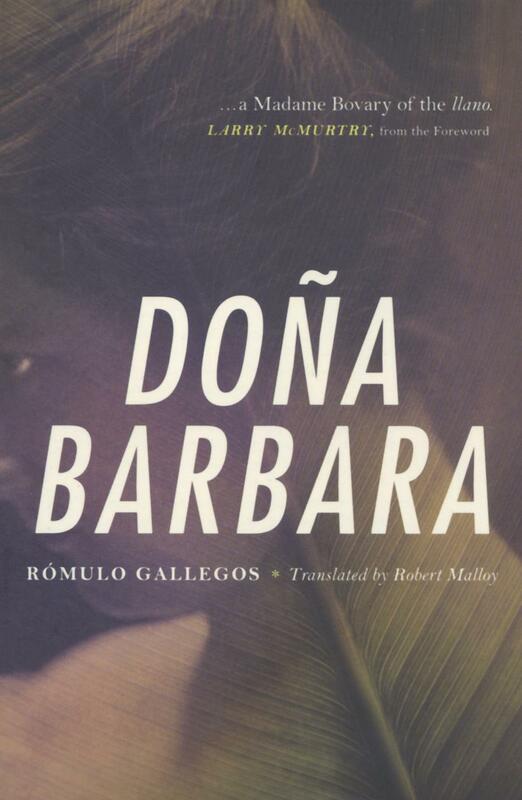 Venezuelan readers at the time saw Doña Bárbara as a parable: the eponymous character representing the country’s untamed past, and Luzardo representing a “civilized” alternative—one that rejected Gómez’s rule. As a result of the novel’s clear subtext, Gallegos was forced to flee the country, only returning when Gómez had died. Rómulo Gallegos was born in Caracas, Venezuela in 1884. He began his career as a teacher and a journalist before publishing Doña Bárbara in 1929. The novel’s criticisms of longtime dictator Juan Vicente Gómez forced Gallegos to flee the country. When he returned to Venezuela in 1936, he was appointed Minister of Public Education before being elected to Congress in 1937 and as Mayor of Caracas in 1940. During El Trienio Adeco, he was part of the coup that brought Rómulo Betancourt to power, and in 1947 he became the nation’s first cleanly elected president. His term in office was short-lived: he was removed by a 1948 coup and forced to flee to Cuba, then Mexico. He was finally able to return to his homeland in 1958, where he was appointed senator for life, though he never formally returned to politics before his death in 1969.